MWM NEWS BLOG: Interviewed : Nixon Artist Series. 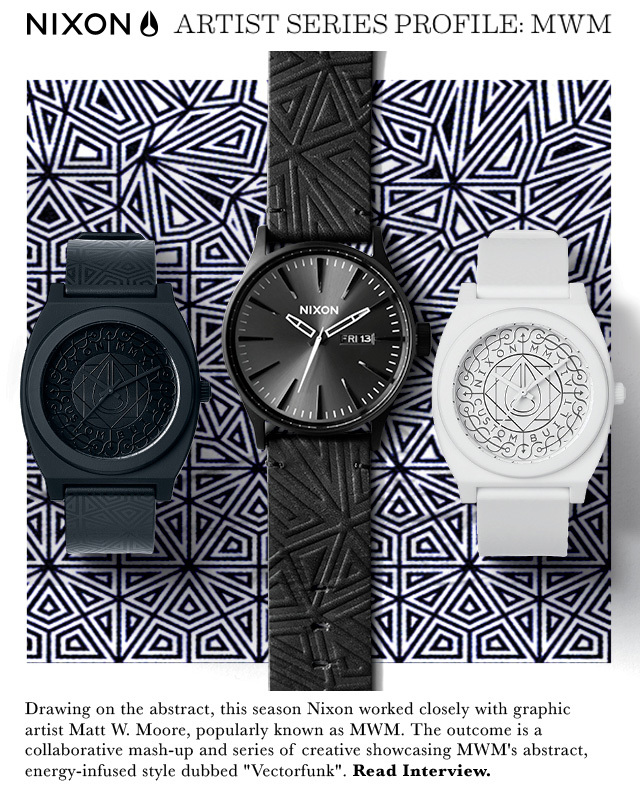 Interviewed : Nixon Artist Series. Q&A with the good folks at NIXON about our process developing this Summer's 'Shadow Form' Collection. Much thanks Joe & Co! Read Interview – View Collection.